The special edition "Salsa" for 2 is manufactored by Globecar, europe's largest van conversion specialists who sold over 2,500 motorhomes last year. 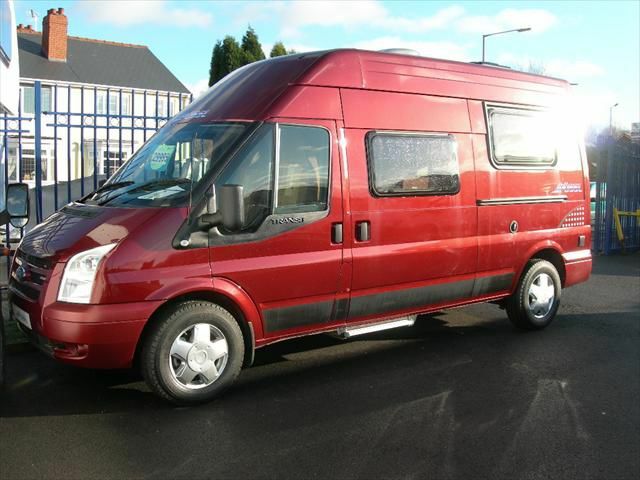 The base unit is the ford transit 350 panel van and is specified with a 130 PS engine. The flexible floor plan allowa you to decide between either two single ir one large double bed whilst also providing maximum daytime lounge space. Standard equipment is extensive and includes; shower, thetford cassette toilet, flyscreens and blinds, two burner hob, 3 way dometic refrigerator, 90 amp hour seperate leisure battery, comfortavble matress, colour matched cab seats, retractable omnistep large fresh and waste water tanks. For more information please contact the sales team. THIS IS THE LAST REMAINING ONE AT THIS OUTSTANDING PRICE! !